If the statistics are right, the Jews constitute but one quarter of one percent of the human race. It suggests a nebulous puff of star dust lost in the blaze of the Milky Way. Properly, the Jew ought hardly to be heard of, but he is heard of, has always been heard of. He is as prominent on the planet as any other people, and his importance is extravagantly out of proportion to the smallness of his bulk. His contributions to the world’s list of great names in literature, science, art, music, finance, medicine and abstruse learning are also very out of proportion to the weakness of his numbers. He has made a marvelous fight in this world in all ages; and has done it with his hands tied behind him. He could be vain of himself and be excused for it. The Egyptians, the Babylonians and the Persians rose, filled the planet with sound and splendor, then faded to dream-stuff and passed away; the Greeks and Romans followed and made a vast noise, and they were gone; other people have sprung up and held their torch high for a time but it burned out, and they sit in twilight now, and have vanished. The answer to Mark Twain’s question can be found in Romans 11 of the Holy Bible in the New Testament. Praise God! Just further evidence of God. Further evidence of Jesus Christ. 11 I ask, then, has God rejected his people? By no means! For I myself am an Israelite, a descendant of Abraham, a member of the tribe of Benjamin. 2 God has not rejected his people whom he foreknew. Do you not know what the Scripture says of Elijah, how he appeals to God against Israel? 3 “Lord, they have killed your prophets, they have demolished your altars, and I alone am left, and they seek my life.” 4 But what is God’s reply to him? “I have kept for myself seven thousand men who have not bowed the knee to Baal.” 5 So too at the present time there is a remnant, chosen by grace. 6 But if it is by grace, it is no longer on the basis of works; otherwise grace would no longer be grace. 11 So I ask, did they stumble in order that they might fall? By no means! Rather, through their trespass salvation has come to the Gentiles, so as to make Israel jealous. 12 Now if their trespass means riches for the world, and if their failure means riches for the Gentiles, how much more will their full inclusion mean! 13 Now I am speaking to you Gentiles. Inasmuch then as I am an apostle to the Gentiles, I magnify my ministry 14 in order somehow to make my fellow Jews jealous, and thus save some of them. 15 For if their rejection means the reconciliation of the world, what will their acceptance mean but life from the dead? 16 If the dough offered as firstfruits is holy, so is the whole lump, and if the root is holy, so are the branches. 17 But if some of the branches were broken off, and you, although a wild olive shoot, were grafted in among the others and now share in the nourishing root of the olive tree, 18 do not be arrogant toward the branches. If you are, remember it is not you who support the root, but the root that supports you. 19 Then you will say, “Branches were broken off so that I might be grafted in.” 20 That is true. They were broken off because of their unbelief, but you stand fast through faith. So do not become proud, but fear. 21 For if God did not spare the natural branches, neither will he spare you. 22 Note then the kindness and the severity of God: severity toward those who have fallen, but God’s kindness to you, provided you continue in his kindness. Otherwise you too will be cut off. 23 And even they, if they do not continue in their unbelief, will be grafted in, for God has the power to graft them in again. 24 For if you were cut from what is by nature a wild olive tree, and grafted, contrary to nature, into a cultivated olive tree, how much more will these, the natural branches, be grafted back into their own olive tree. 28 As regards the gospel, they are enemies for your sake. But as regards election, they are beloved for the sake of their forefathers. 29 For the gifts and the calling of God are irrevocable. 30 For just as you were at one time disobedient to God but now have received mercy because of their disobedience, 31 so they too have now been disobedient in order that by the mercy shown to you they also may now receive mercy. 32 For God has consigned all to disobedience, that he may have mercy on all. 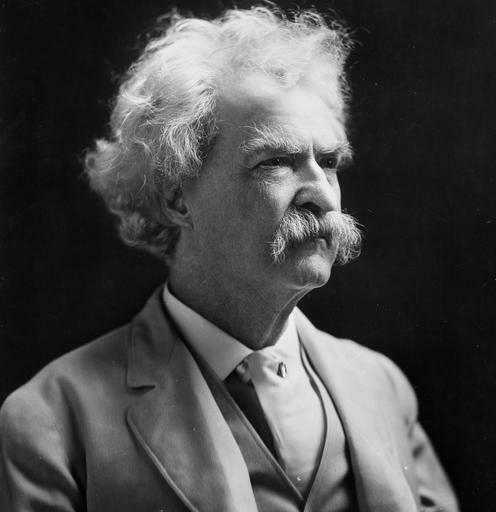 The Bible tells us that ALL OF ISRAEL will be saved in the end – after the saints (those that believe on Jesus Christ) have seen our final days – and this is the answer to Mark Twain’s question. Look for us via AM radio throughout Africa (and worldwide in good DX’ing weather) – on the quintessential Voice of Hope network every Saturday at 1700UTC on: 9680 & 13680 kHz, or visit VoiceOfHope.com , select Listen Live, and pick Africa. We had a Summer 2018 US shortwave radio season, reaching many states and even other countries on WBCQ (this was an informal, stateside show, not a program for potentially oppressed Christians overseas, which differ in content). That season ended but we look forward to being back on shortwave airwaves sometime soon as well. We are always available here, online! Promote educational family fun getting into the easy, yet thrilling hobby of radio listening, helping to keep it alive — the Shortwave AM/SSB and Mediumwave AM bands are havens for Christian listening! We thank the Father, his son Jesus Christ, and the Holy Spirit for blessing us with open eyes, salvation, our callings, and our means to reach our brothers and sisters in the faith and everyone with even the slightest inclination of seeking it. In Jesus’ name Amen. 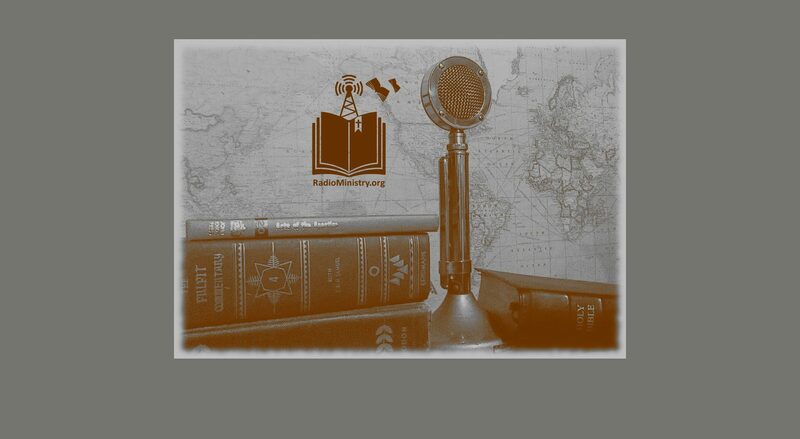 Share our address RadioMinistry.org with your friends — we are not subject to the censorship or availability-burying techniques of YouTube or others. All of our content is hosted and backed up independently.